Short, thick, smooth, glossy appearance. 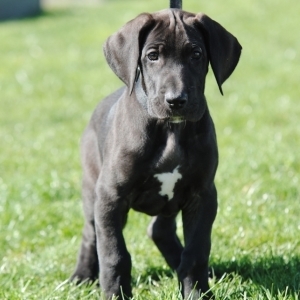 Unlike what their name suggests, Great Danes originated in Germany, where they were initially bred mainly to hunt large prey. 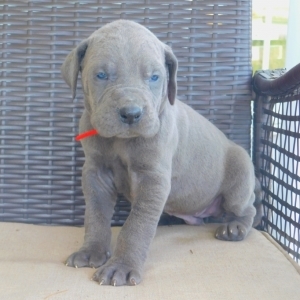 They are powerful, athletic dogs, but have calm, kind dispositions. 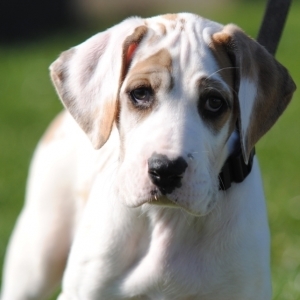 These gentle giants are known as “couch potatoes” and are dependable, family-friendly dogs. Due to their size – they tend to weigh 100-200 lbs. 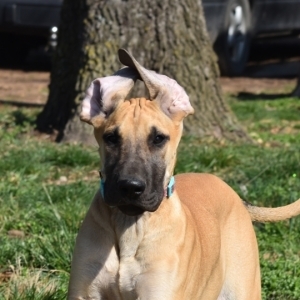 when grown – Great Danes do best in larger living spaces, and are easy to train. The Great Dane of today wouldn't be very good at what he was originally bred to do—hunt wild boars. His previous fierceness as a predator has all but been eliminated to create a gentle being that gets along with creatures both human and animal. 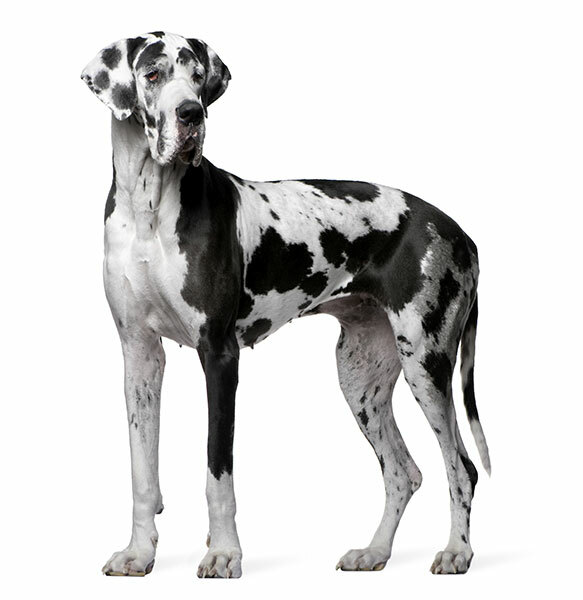 The modern Great Dane originated in Germany in the late 1600s.